First we’ll look at the settings for the Cover block. The settings are similar to many other blocks. Hover over the very edge (left or right hand side) of the block until you see a blue line, then click the blue line. After you’ve selected a block, look in the post editor sidebar for more settings. It can be fiddly finding the right place to click in order to access the settings you need. The best plan is to hover around each block and click in several places to see what options popup. The settings are context sensitive, so you see different settings depending on what you click. Settings available for the Cover block. Hover over the left or right hand side of a block. When you see the blue outline click. This might or might not give you different settings and options to those displayed when you click inside the text. 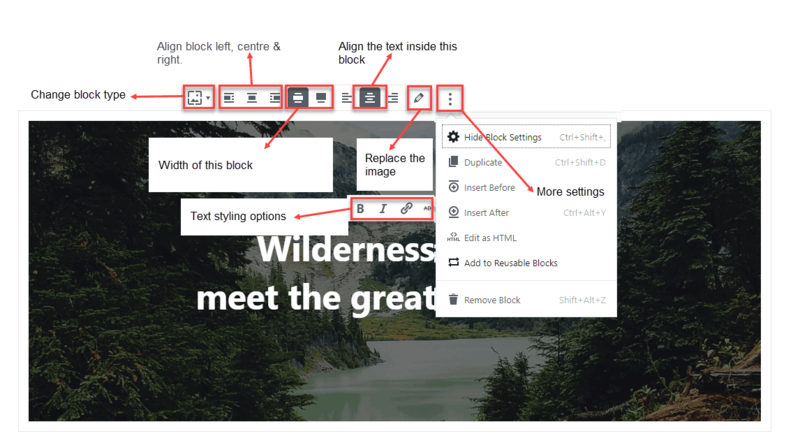 The options available depends on which type of block you’re editing, and whether you click the block’s content or the block’s outline. Clicking this blue outline may give you more options. 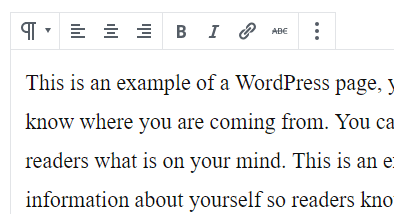 The paragraph block does not have the wide width or full width option. Settings available for the paragraph block. After clicking any block. 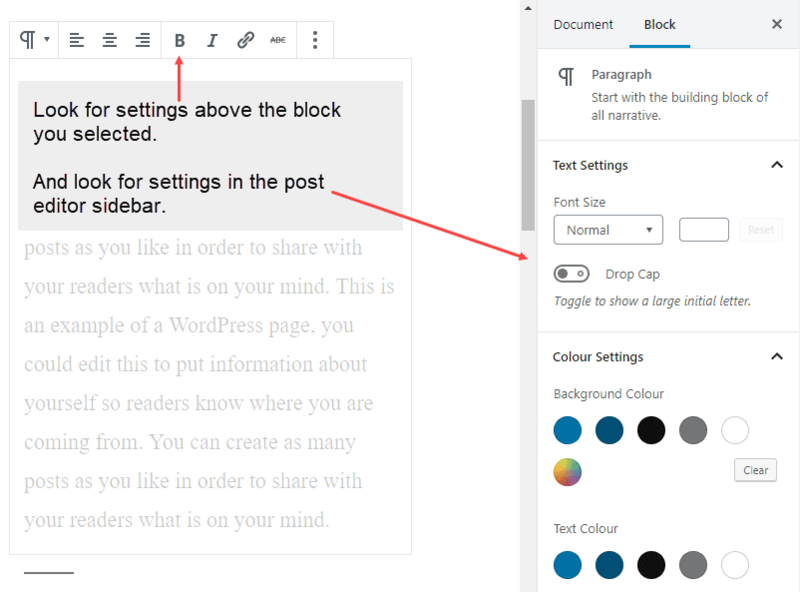 Look in the post editor sidebar for more settings that affect the selected block. After selecting a block, look in the post editor sidebar to see if there are any additional settings available.